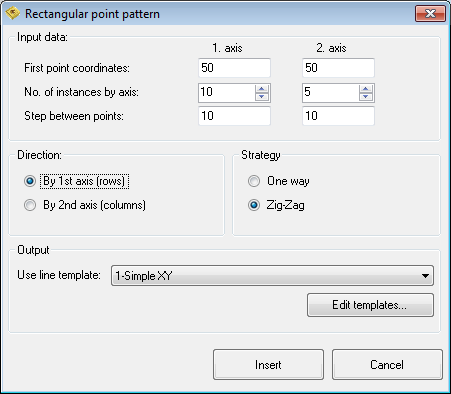 Use this dialog to enter rectangular point pattern in your CNC code. Enter coordinates of the first point, number of instances by each axis and distance between rows/columns. Select direction and row/column change strategy.